I just published an in-depth tutorial that covers how to configure a complete server stack over on the Ghost Inspector blog. I had a great experience building out Ghost Inspector’s infrastructure and wanted to share some details about what can be accomplished nowadays for just $50/mo. It’s a thorough article and walks you through the configuration of the various servers you’ll be needing: web, app, api, database, load balancer, etc. Give it a look! First, we create a class named "myClass" and add a method to it. Then, with a simple if statement, we can determine whether we’re running this code in Node.js or in the browser and export the class accordingly. Let’s assume we’re compiling this down into "my-class.js". I’ve been doing a lot of backend development in Node.js recently. Node.js runs on a single threaded event loop and leverages asynchronous calls for doing various things, like I/O operations. 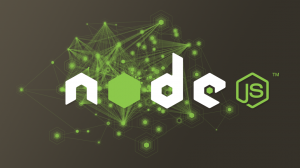 While other languages will send a database query and wait there for the result to come back, Node.js will not. When you send a database query, Node.js will continue executing the code that comes after it, then jump back when the result is available.